Join Weller Book Works as we welcome best-selling author Cassy Joy Garcia of Fed+Fit in conversation about her book, COOK ONCE EAT ALL WEEK. Joining Ms. Garcia as moderators will be authors Lexi Kornbloom Davidson, author of LEXI's CLEAN KITCHEN, and Juli Bauer of PaleOMG author of THE PALEO KITCHEN.COOK ONCE EAT ALL WEEK is a revolutionary way to get a delicious, healthy, and affordable dinner on the table FAST. Author Cassy Joy Garcia will walk you through this tried-and-true method and show you how batch-cooking a few basic components can give you an entire week’s worth of dinners with minimal time and effort.In this book you’ll find 26 weeks of affordable, healthy, delicious meals that your family will love eating, and a chapter full of bonus 20-minute meals. Optional Instant Pot and slow cooker instructions are included to get you even more time back in your week. 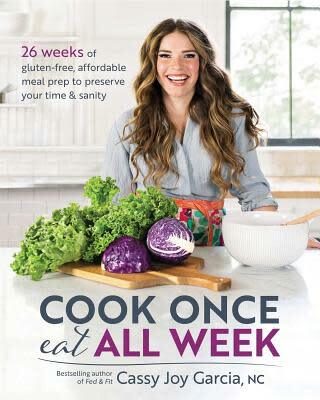 With a Real Food foundation, the weeks in this book aim to support dietary approaches that range from: gluten-free, dairy-free, Paleo, low carb, egg-free, kid-friendly and more.Cassy Joy Garcia is on a mission to empower healthy lifestyle transformations through clear nutrition science, delicious recipes, and healthy mindset tips. You can find over 500 of her healthy gluten-free and Paleo recipes at https://fedandfit.com/about/. 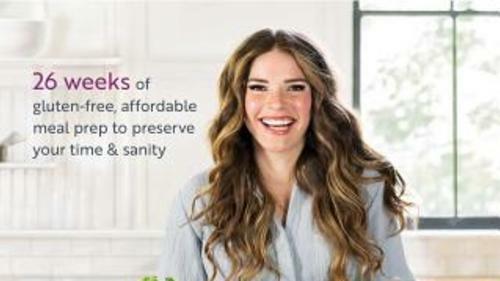 Her healthy living podcast "Fed+Fit" in iTunes, and her signature food + fitness monthly program "The Project".Lexi Kornbloom Davidson is the recipe developer, food photographer, food stylist, and blogger behind Lexi’s Clean Kitchen, https://lexiscleankitchen.com/. She is originally from Long Island, NY and now resides just outside of Boston, MA with her husband Mike and their golden retriever, Jax.New York Times bestselling author of The Paleo Kitchen and creator of the popular website PaleOMG, Juli is a well-known Paleo cook who creates meals that are sure to please the whole family. Absolutely no one will complain when you serve them delicious dishes like Breakfast Tacos, Buffalo Chicken Casserole, Slow Cooker Short Rib Tostadas, Pistachio Rosemary Lamb Chops, and Layered Flourless Chocolate Cake.This event is co-sponsored by We Olive in Trolley Square, who will be generously offering 20% of any purchase at We Olive when you purchase your copy of COOK ONCE EAT ALL WEEK at Weller Book Works. Make sure to keep your receipt!The authors will also be appearing at The Nourished Festival in Sandy. Info can be found at https://nourishedfestival.com/The conversation will be followed by a signing.